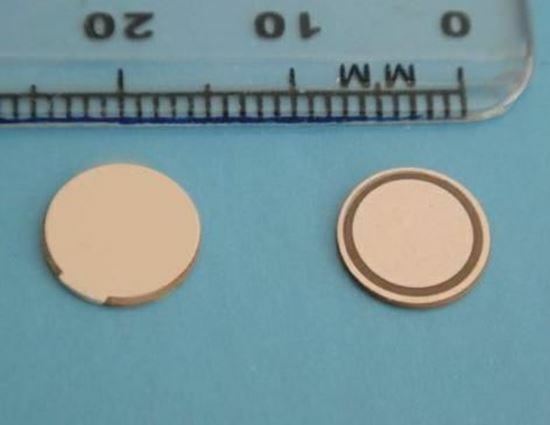 Piezo Electric Ceramic Disc Transducer. Both electrodes on one side (R configuration). Applications: Piezo transducer for vibration, transducer for matter dispersion, sonar transducer Ultrasonic sensor, vibration sensor, wall thickness sensor, material stress sensor, pressure sensor, energy electricity harvesting, compression sensor, piezo expansion sensor and others.